A Nanny Background Checks is not enough to vet Nannies online. "She just seemed like such a nice person. We couldn't believe what we saw on the nanny cam." "I thought a nanny background check would pick up all past wrong-doings, but it doesn't. That was a real wake-up call." It's hard not to trust your gut instincts, but when you're hiring a nanny, the safety of your children is at stake. When you hire a new nanny to care for your family, one important step is to do a nanny background check. We offer nanny background check services that are robust, yet still affordable. But doing a nanny background check isn't enough There are crucial steps you must take to protect your family. Here are some of the most common mistakes. Mistake #1 – Not doing a thorough nanny background check. Not all nanny background checks offer the same depth of reporting. Make sure the background check you choose includes a national screening of criminal records, sexual offender list, a SSN match with name and previous address history, alias search and county record search in counties lived. 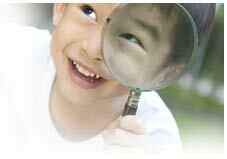 See eNannySource.com's nanny background check services. Mistake #2 – Thinking a nanny background check alone is enough. Nanny background checks DO NOT screen for crimes committed but not brought to the authority or cases where there was no conviction. Having a clean criminal background is not the same as being fit to care for your children. A clean background simply means a candidate has not been caught or convicted of committing a crime. Mistake #3 – Not checking references. References from friends and family are not enough. When checking nanny references, you need to speak to whose people who have directly worked with the nanny in question. When calling references, be sure to ask questions about the nanny's performance, duties and responsibilities. Know that some people are reluctant to share negative information, so it's important to listen to what is not said as much as what is said. Ask if there is any one thing the nanny could have done to make her performance ideal. The answers may help reveal any trouble areas. It's also important to screen candidates for phony references. Our nanny application form helps you do that. Mistake #4 - Not doing your own Internet search. Just like you would a prospective date, Google your nanny. You'll of course want to be sure you are searching for the correct person. You may be surprised that you'll find information on everything from statuses posted on social networking sites to listings on child predator sites. See where your candidate's name shows up and what other families have to say about working with them. Mistake #5- If the nanny you are interested in has unexplained gaps in her employment timeline, find out why. Be sure to ask why each job ended. The responses could provide insight into any employment patterns. Mistake #6 – Not making a copy of the nanny's ID. It is important that you make a copy of your nanny's photo ID that has her complete name and address on it as well as one other form of ID. Typical types of IDs may include driver's licenses, state ID cards, passports, permanent resident cards and employment authorization cards. Mistake #7– Rushing the nanny search. Make sure you leave enough time to find the right nanny. If you're in a time crunch, you may not be as thorough as you need to be. Allow at least 4-8 weeks to find a nanny. By doing so you are allowing yourself enough time to find the right match for your family. Make your nanny hiring process easier with eNannySource's robust nanny application. Once the nanny completes the information, you will be presented with a carefully crafted snapshot of the nanny’s employment history, including where she worked, the ages of the children in her care, and why the job ended. With this information you can easily spot any gaps in employment and confirm the information provided with previous employers. The eNannySource nanny application can help you weed out candidates that may not be a good match. Protect your family. Be smart and be thorough in your nanny screening process. Regardless of how you find your nanny, as a household employer it is your responsibility to fully screen any and all potential caregivers. Your children’s safety depends on it. Learn more about our nanny background checks. Download a nanny application form. 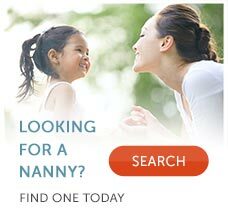 Learn more about how to hire a nanny.